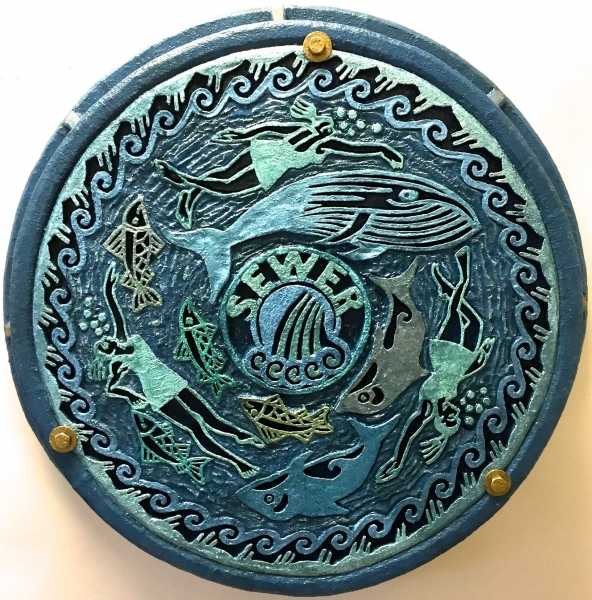 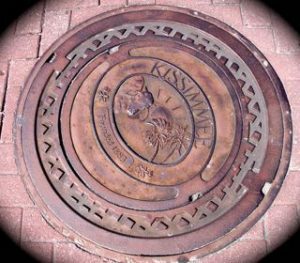 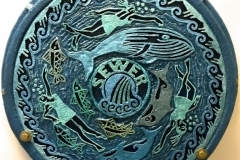 n 2016,Michelle Ward featured my art on her blog:”October Manhole Madness,” along with other artists also using the manhole cover theme.Louise Levergneuxs’ “City Shields,”caught my attention. 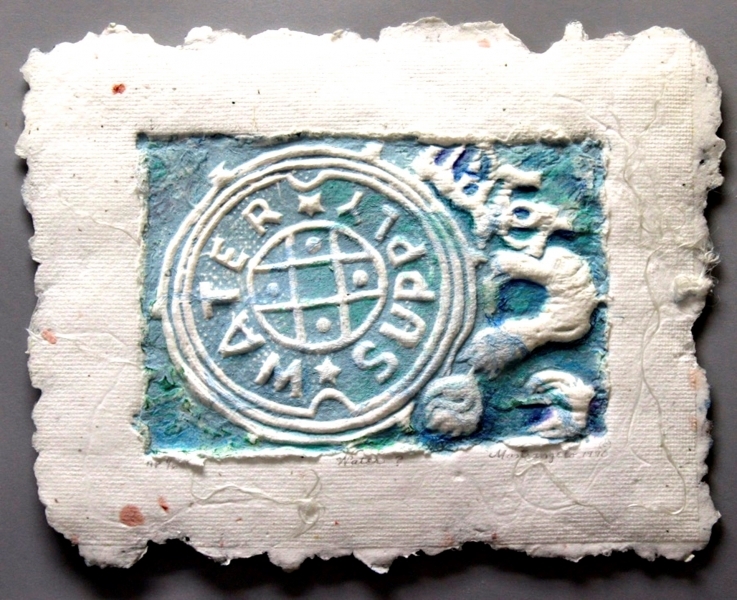 I wrote to her and told her I was impressed with her wor.k. 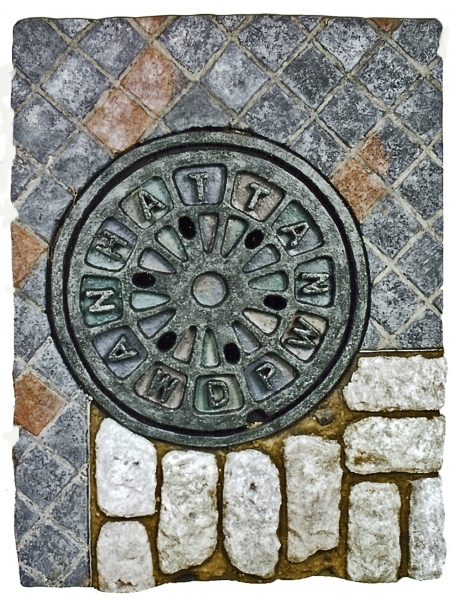 Over several years, Louise Levergneux has been photographing thousands of manhole covers in Canada, the United States, and Scotland. 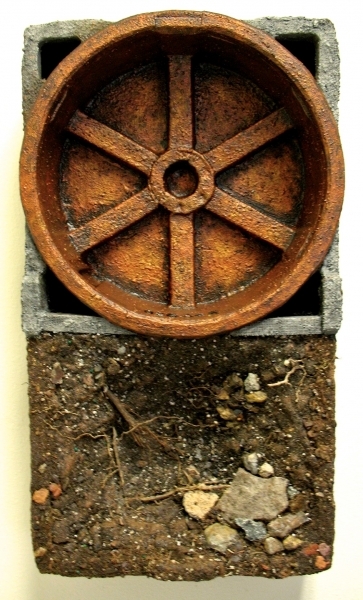 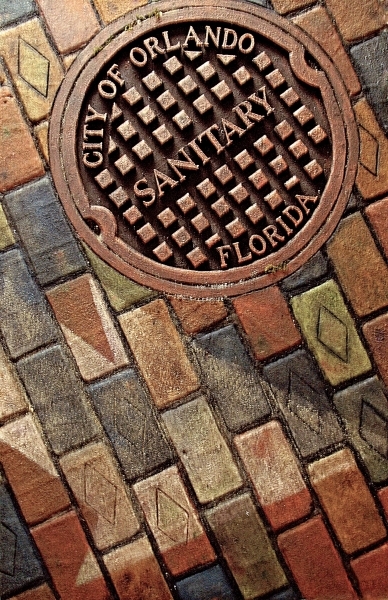 The project is aptly titled City Shields, as manhole covers protect access to the underground urban infrastructure. 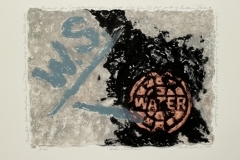 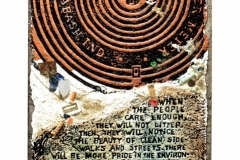 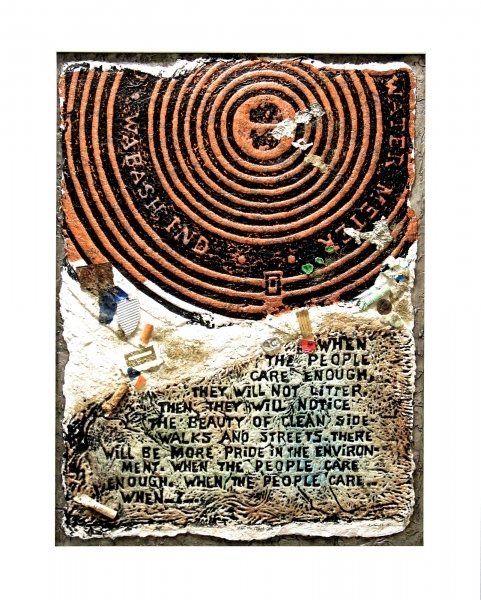 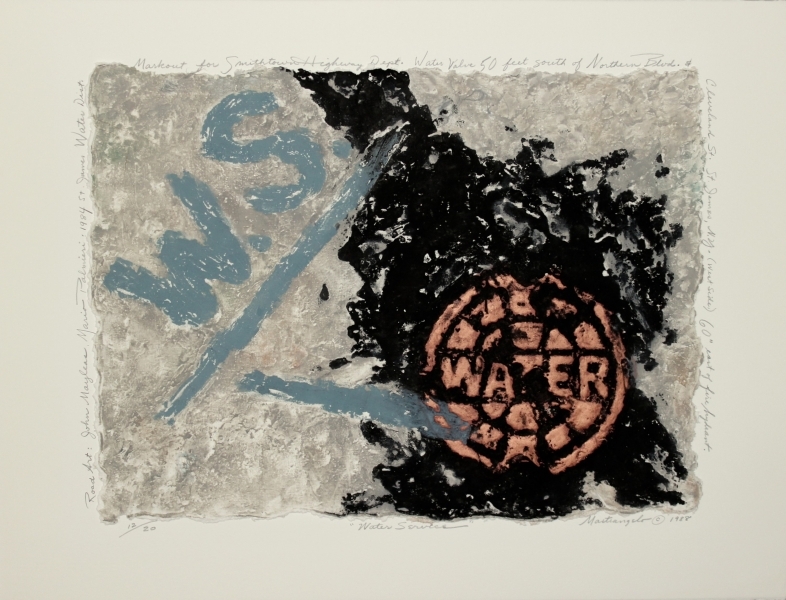 She reprints the photographs as colour digital prints on die-cut paper, then crops them to isolate the shapes of the individual manhole covers from their surroundings. 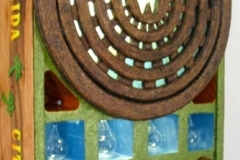 The stand-alone images and bird’s-eye view of these discs, triangles, and rectangles further emphasize their sculptural qualities. 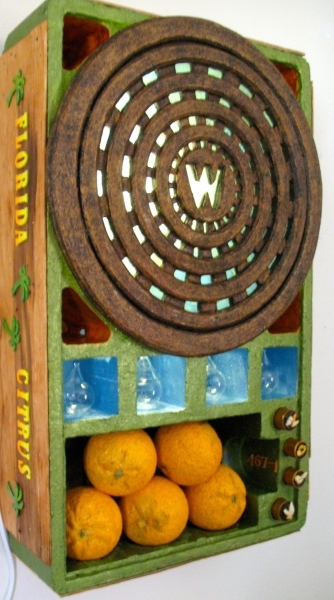 They are grouped by city or region and stored in plastic Zip-drive jewel cases. 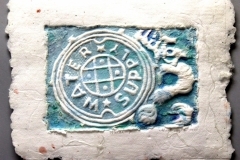 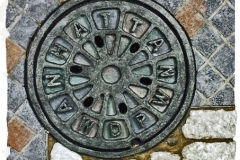 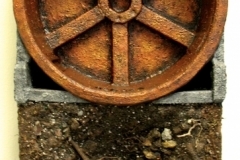 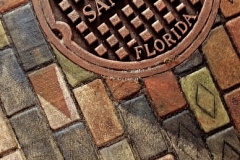 An accompanying folder identifies the location of each manhole cover.